The largest online community of documentary professionals. The D-Word began in 1996 as a series of online journal entries that I kept up for 3 years depicting the joy and angst of making and selling my feature documentary, Home Page. It was meant to inform, inspire, humor and depress the hell out of working or aspiring documentary filmmakers, or anyone else interested in the filmmaking process, for that matter. 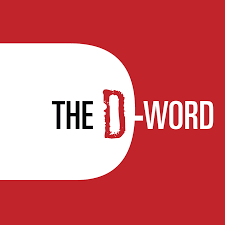 Since that time, entirely through word-of-mouth, The D-Word has grown to become the pre-eminent online community for documentary filmmakers, currently numbering more than 17,000 members from 129 countries. Registering for "Professional" membership is free and easy peasy. Here's how.